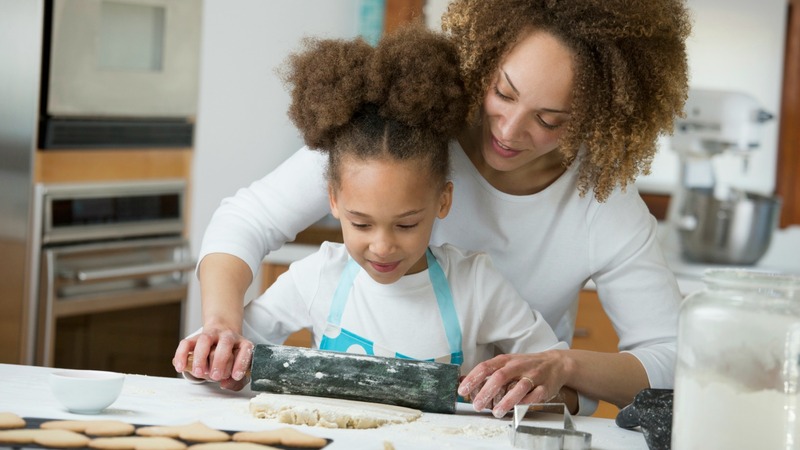 Baking is the perfect activity to enjoy with your kids this Easter holiday — whatever the weather. From seasonal sweet treats to old favourites, it’s easy to whip something up that looks too good to be homemade. Kids can get involved in all stages of making this cake, from mixing the batter and painting on the icing to sprinkling the coconut flakes over the top. 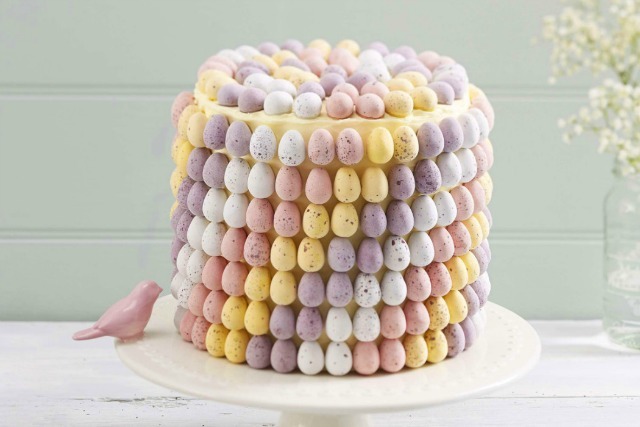 For an Easter-themed treat that looks super impressive, but is actually really simple, all you need to do is make a large sponge cake, cover it in icing and decorate with mini chocolate eggs. 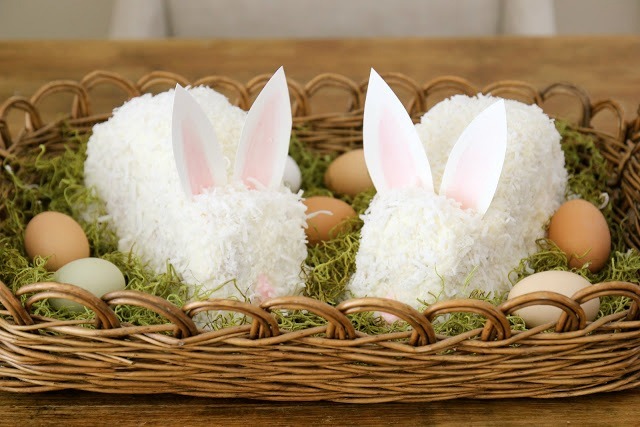 The key to the wow factor is to arrange the eggs in a pattern rather than placing them randomly, which might require a little supervision. Baking doughnuts with kids is a lot easier than frying and means less mess to clean up — which is always a plus. 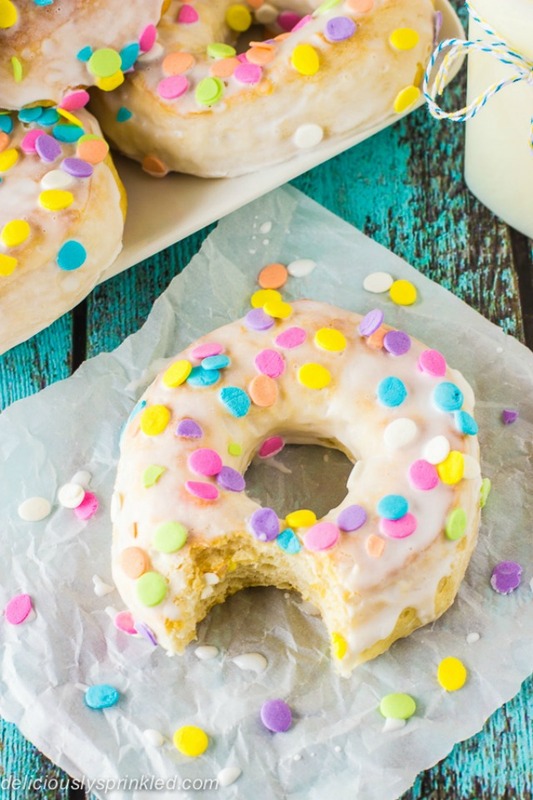 Jazz them up with vanilla glaze icing and lots of sprinkles and no one will believe you didn’t get them from the baker’s. 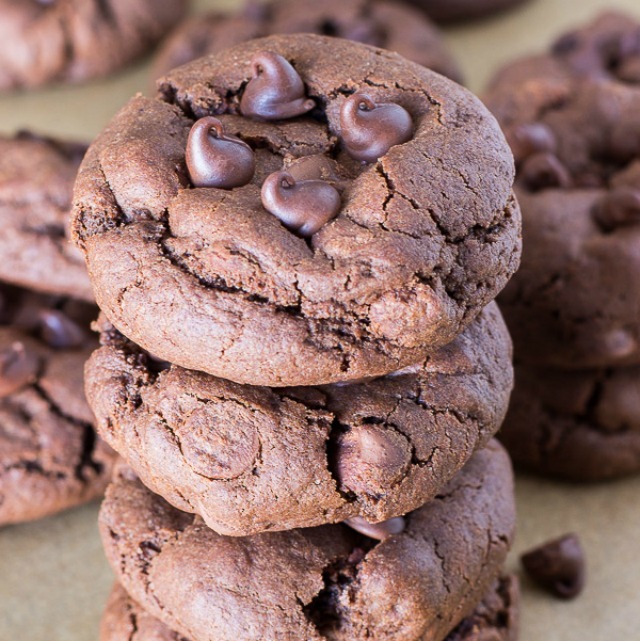 Who doesn’t love a chocolate chip cookie? The more you make these with your kids the better they’ll taste. This cake requires a lot of preparation but none of the steps are too tricky making it the perfect way to pass a wet afternoon in the kitchen — and what an amazing creation you’ll have to show for it. 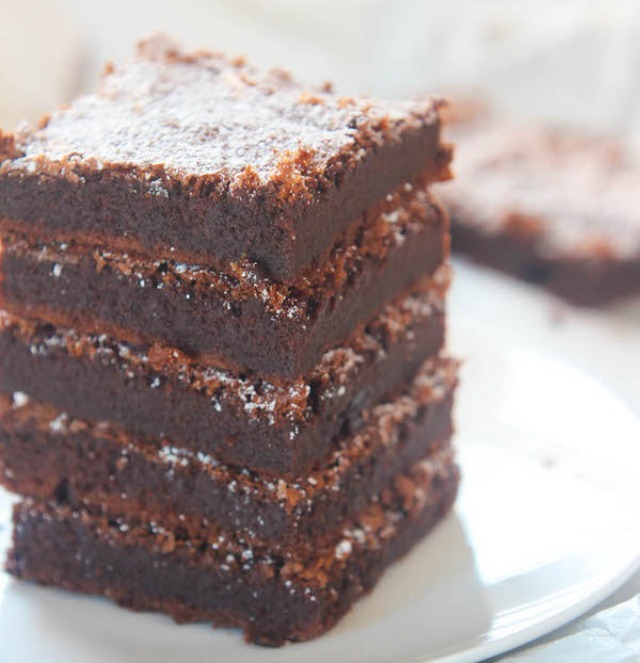 Chocolate brownies don’t come much easier than this, plus they’re gluten free if anyone in the family is gluten intolerant. Quick, easy and oh-so moreish. 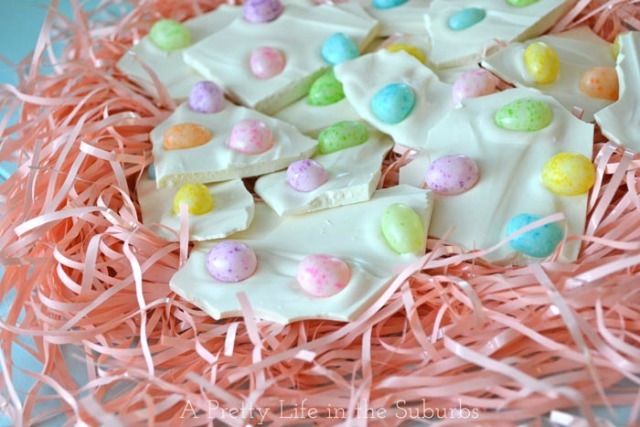 Another easy Easter treat to make with the kids is Easter Egg bark which is simply white chocolate and Easter candies. 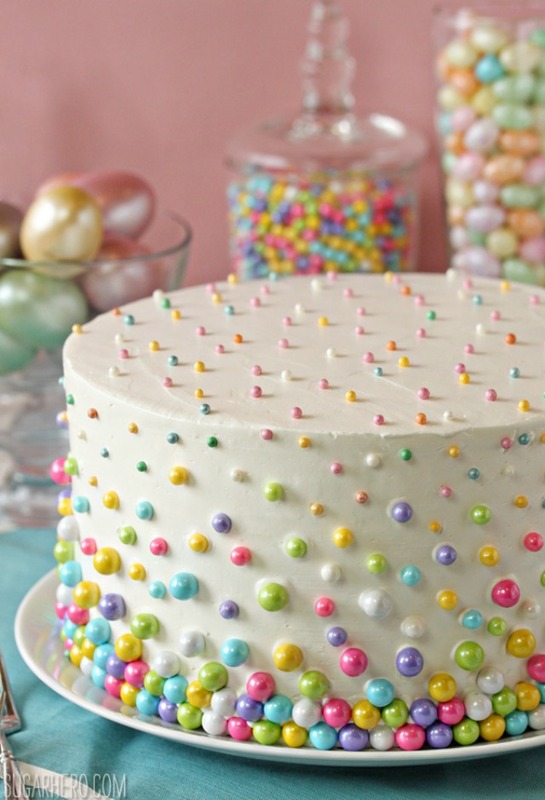 The secret to making this cake in less than 30 minutes is the filling: crispy rice cereal. 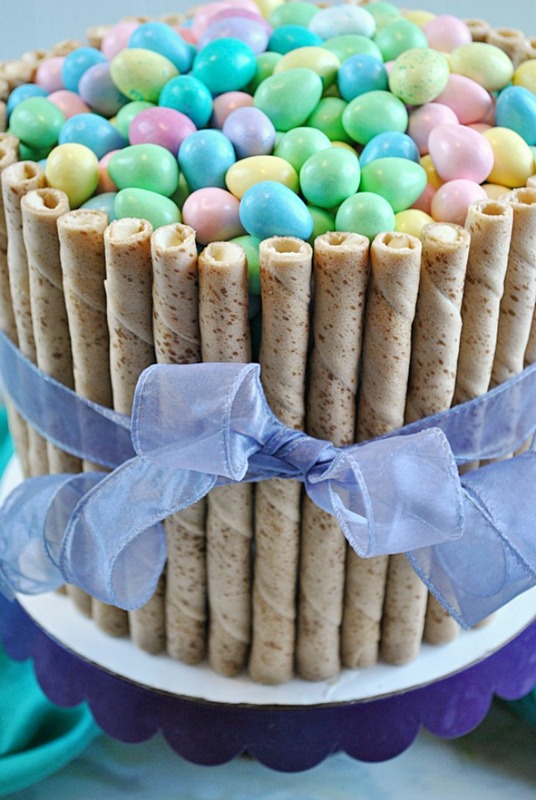 It couldn’t be easier and is the perfect baking project for little ones with a short concentration span. 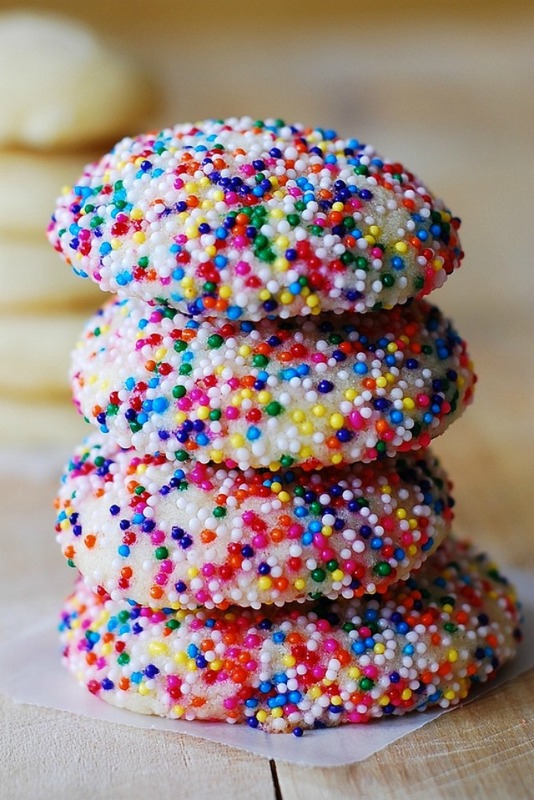 Kids love to decorate — and eat — treats with sprinkles so these vanilla sugar cookies will be a winner. The hardest part of this recipe is waiting two hours for the fudge to set. Everything else is really easy. 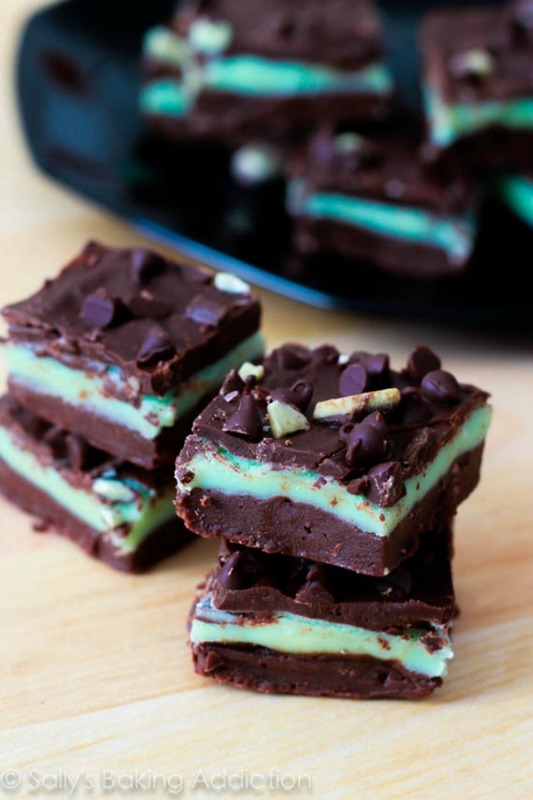 Your kids will love mixing in the green food colouring to get that wonderful minty middle layer.